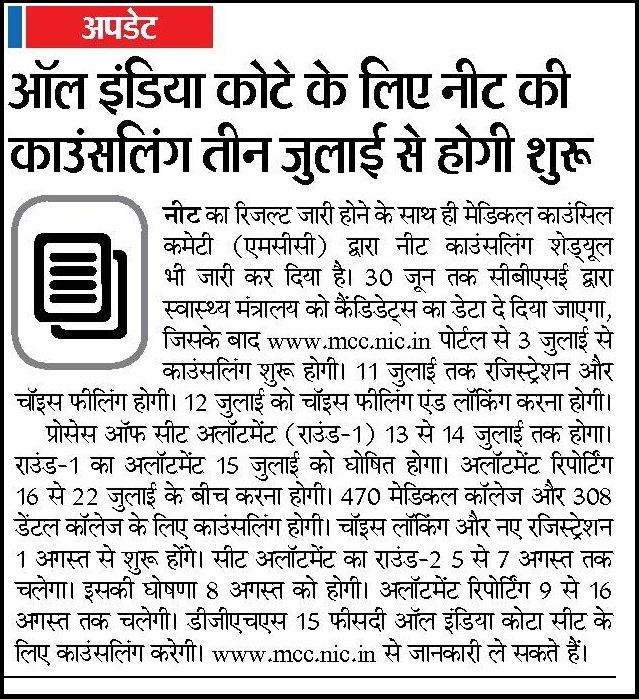 NEET Counselling Schedule 2018 (NEET परामर्श अनुसूची): The Medical Counselling Committee is going to start the counselling process from July 2018. 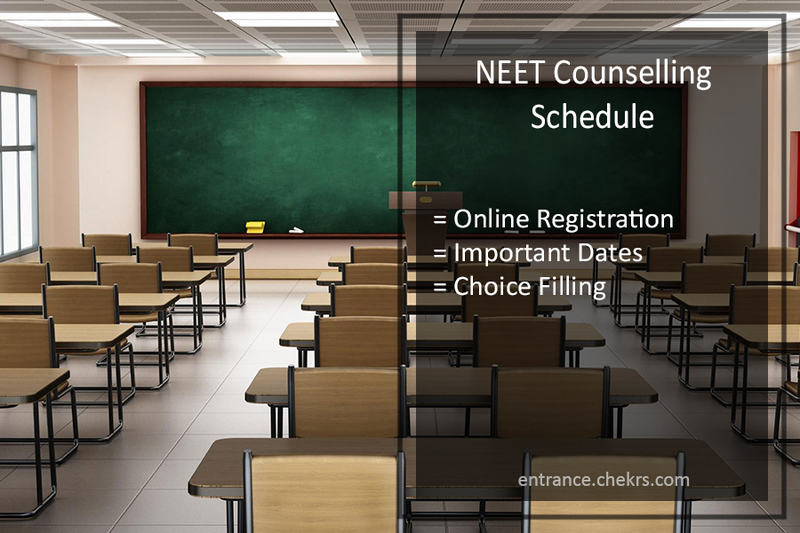 The students who are going to appear in the NEET Counselling 2018, they will gonna require the NEET UG Counselling Schedule for the proper information of the counselling. 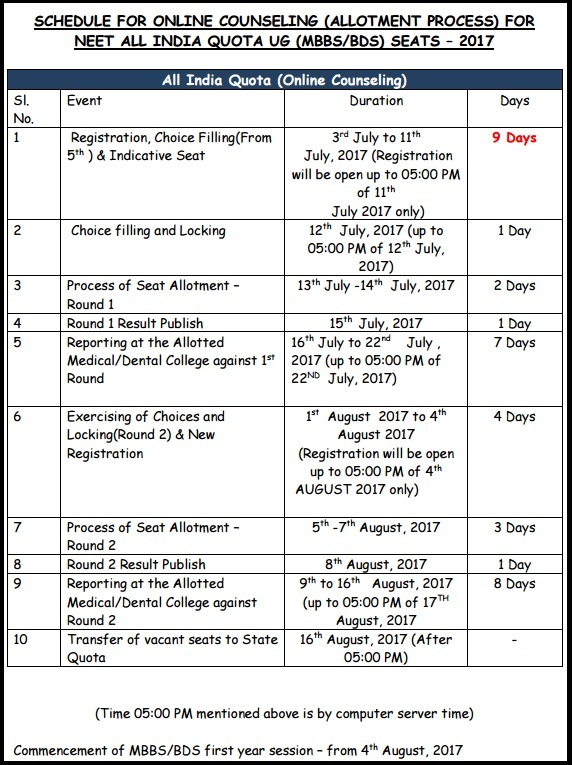 The aspirants can check the counselling date sheet by going through the link we have provided here. The aspirants have to complete the NEET Online Registrations before the due date i.e. July 2018. The students will have the option for the choice filling from 5th July. The aspirants are required downloaded the NEET Schedule 2018. The first round of the seat allotment will be conducted from July. According to the NEET UG Online Counselling date 2018, The second round will be conducted from 1st of August. the aspirants have to report at the allotted institute between 16th and 22nd July. This step will work only for the students who were allotted seats in the first round. The students will be able to complete the NEET UG Counselling Registration on the website of the board. the students will be able to complete the registration form 3rd July and the last date for the registrations is 11th July. The students who will fail to do so will be debarred from the admission process. The students have to follow som steps which are given below to complete the registration process. Then they have to open the NEET Counselling 2018 Link. Now click on the counselling registration option present in the notification bar. Enter your roll number, name, registration number, and submit the details. Now fill your preferences for the colleges and course. Then they have to lock their choices. They must know after locking choices, they cannot be changed. Now attach scanned copy of required documents, scanned a photograph. The aspirants have to pay the required counselling fee by any of the online payment modes. Submit the registration form by clicking on the proceed button. Take a print out of the form and the payment receipt for the day of counselling.